Today I spent the entire day in the office.....most unusual....but I was writing and developing some new presentations I will be doing for Penn Camera this spring. As the new additions get posted to the Penn site I will be linking them to the sidebar of my blog. We added two more field shoots, Fells Point and Annapolis, and a creative image processing lecture followed up with a day-long workshop on working with plugin's and yes an iPhone image presentation. I was working on images today, for one of the sessions on creating images with Photoshop Plugin's, and processed one more image I snapped while working with a client in Fells Point. 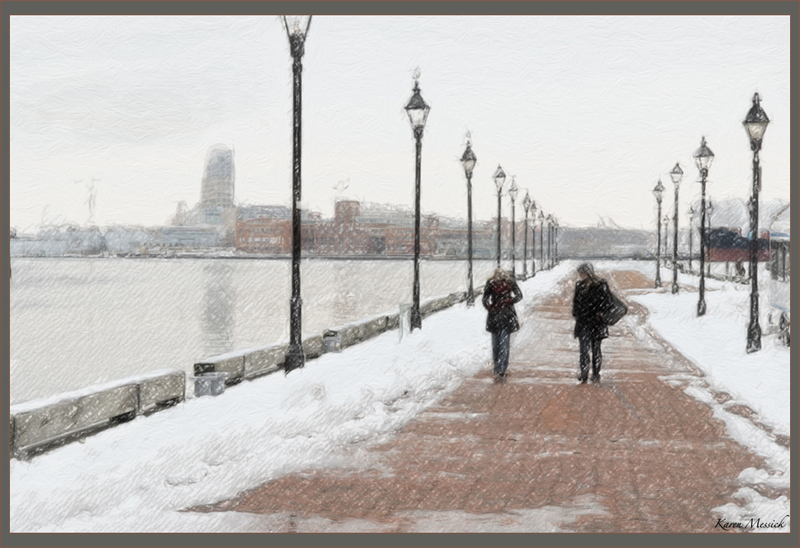 As I worked on this image I made a conscious decision to actually focus on creating more images with people in them. 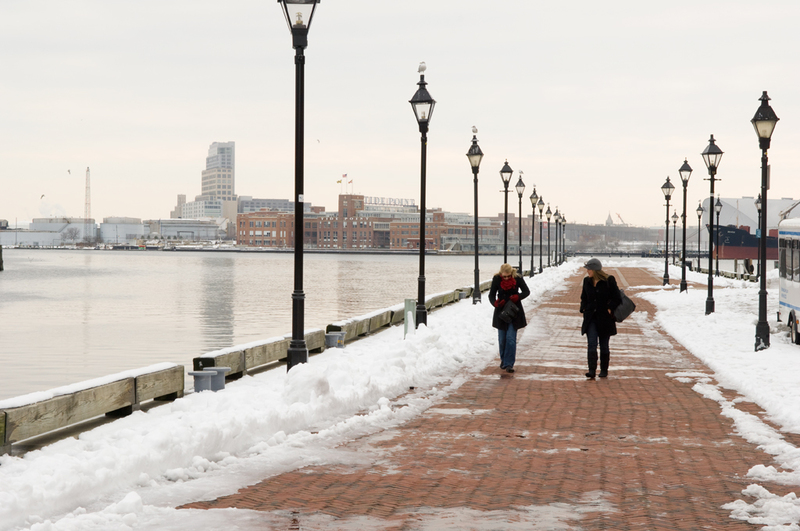 I loved the feeling of this image by the harbor, with these two friends out for a day in the city, or just coming back from a brunch at a local restaurant on a snowy winter morning. When I started my journey in photography, it was the natural world that I focused on most. I loved shooting Dewy spiderwebs and Dragonflies, but living in an urban environment for the most part, I find myself enjoying the inclusion of people in my shots, when it works! This image is processed in Photoshop with Snapart2 filters. I did something a little different and used two filters here, Pencil Sketch combined with an Impasto layer. I selectively added or subtracted layers with a mask, as I felt the image needed, and came up with the opening image. I hope some of you might be able to join me on a workshop or for a photo processing session.